We all remember when Kanye West – aka Yeezus – announced that he would launch a clothing line called Yeezy. Its collaboration with Adidas already made people respect his fashion choices and look forward to his further creations. Kanye continued to venture in fashion and launched his Yeezy collections in huge events in places such as a full Madison Square Garden. 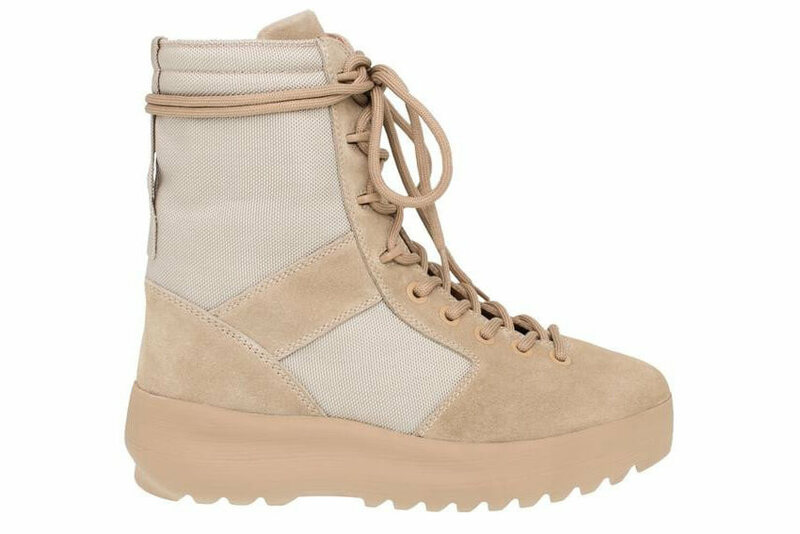 Yeezy season 3 is supposed to drop this month, but there are some models already available online. 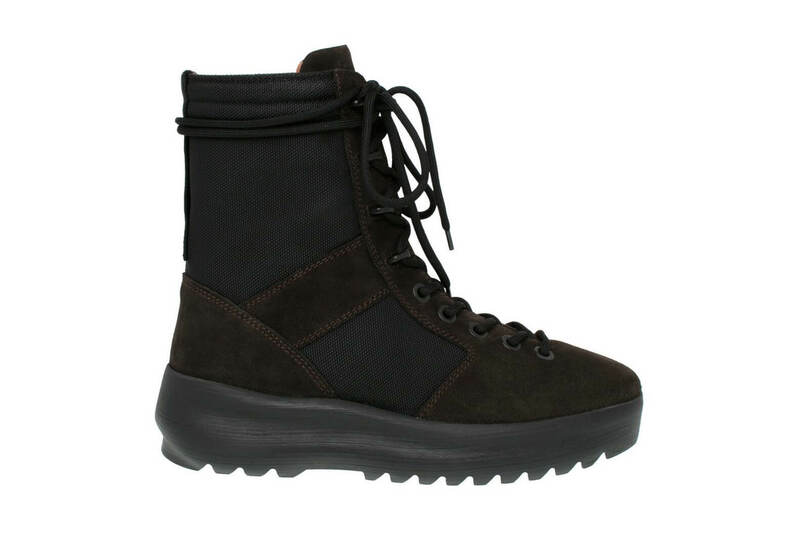 That is the case of the Yeezy military boots. These new shoes have been spotted in Yeezus’s feet as well as the Kardashian clan. These boots come in two colors, Tan and Onyx (also known as beige and black). They are made from 60% calfskin leather and 40% polyamide material with 100% calfskin linings. The rubber soles make them look like a mix between military and snowboard boots. 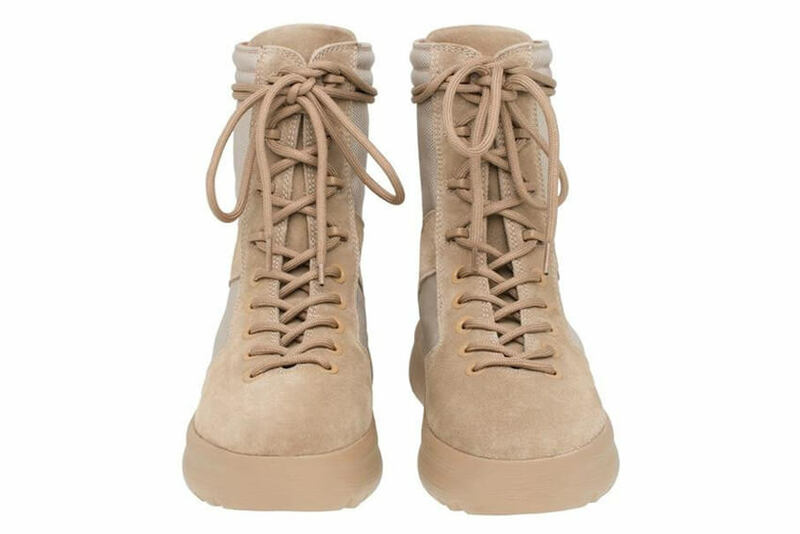 The Military Yeezy boots are made in Spain, which is a bonus in our opinion. European shoe making is known for its quality, and Kanye wouldn’t have it any other way. We are looking forward to seeing the rest of the collection.